My name is George Cupido and I am twenty four years old. I matriculated from Kleinvlei Secondary School, Eersteriver in 2006 after failing grade four and six. In 2008 I enrolled for the Paralegal course at Boston City Campus with the hope of entering the legal profession, to see whether or not I am ready to be part of such a demanding field. Whilst studying at Boston City Campus I was also working at Shoprite Checkers. For the purpose of understanding the practicality of my studies at college after which I decided to avail myself to become a shop steward that same year. I became a representative of the executive council for the Helderberg trade union. I completed my qualification that same year. My studies at Boston City Campus taught me a few things, which I have become accustomed to. It taught me a great sense of responsibility, hard work, discipline and pride in whatever you approach in life. With these qualities I became equipped to occupy the position as regional executive representative of the trade union whilst still working for Shoprite Checkers the following year. I resigned from Shoprite Checkers in 2011 to take on a different path in my career. In 2010 I decided to further my studies in Law and registered at Unisa for the LLB degree. In 2012 I have enrolled in their Law clinic street law community in which third year and forth year students are trained in various law fields in order bring the law for free to the community or those that are otherwise not in a position to afford the services of an attorney. I am currently involved with a NGO in Sir Lowry’s Pass that aims to empower the community and make them aware of the state of the community as a whole, and voicing their concerns by sitting on the Helderberg municipal council representing local government. I am also a student worker at Unisa. In the next two years I plan on completing my degree in law after which I will continue with my Masters degree in pursuit of becoming a human rights attorney. 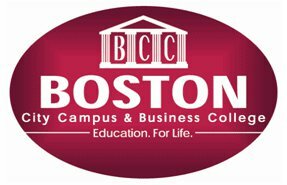 Thanks to Boston City Campus for laying the foundation and equipping me with the necessary skills I can truly say that I got the right start to my career path.